The GoPro HERO5 Black is a powerful tool for shooting underwater video. GoPro's new flagship action camera, it was released alongside the smaller HERO5 Session and HERO Session. While these models are great above water, we focus on the HERO5 Black for shooting underwater, whether snorkeling, freediving or scuba diving. The beauty of the GoPro HERO5 Black is that it delivers professional-level video in the right shooting situations, is small and easy to travel with, and comes at a great price point compared to compact camera and housing kits. The HERO5 is also the first GoPro that holds its own in underwater photography, aided greatly by the built-in screen and RAW file format. 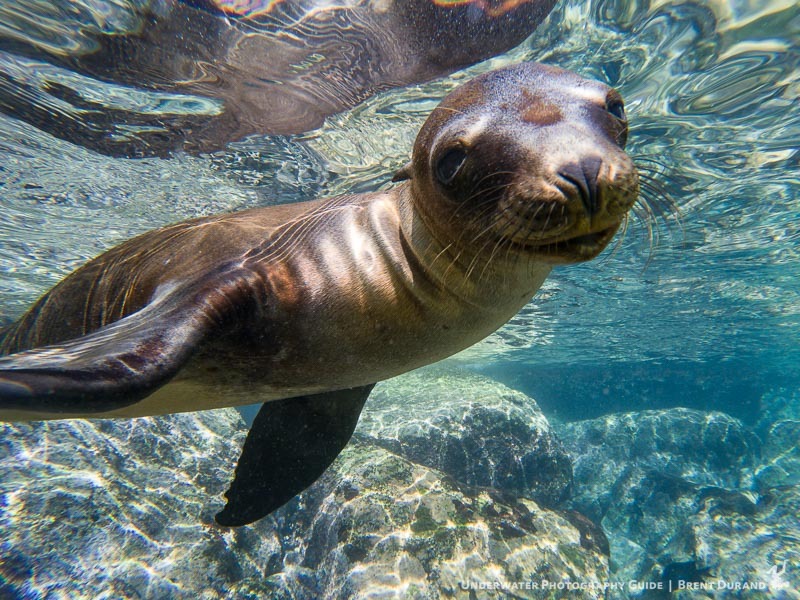 I used the GoPro HERO5 Black as my only camera during Bluewater Photo's La Paz small group photo workshop in October 2016 and finished the weeklong trip with nice results and a much, much lighter camera bag. Be sure to update your HERO5 to the latest firmware version, as GoPro has addressed several issues with earlier firmware versions. Simplicity of operation is essential, and GoPro has done a great job simplifying the camera menus, making big strides between the older HERO3+ and HERO4. The HERO5, naturally, takes this one step further by eliminating the front control button, leaving just two buttons for camera operation. The side button is now devoted to On/Off as well as switching camera modes (video, camera, burst, timelapse) while the top button starts and stops recording. Camera settings are best adjusted through the rear LCD touch display or the GoPro mobile app, ‘Capture’. 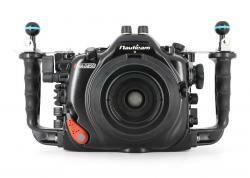 So how do you adjust camera settings underwater? Simply push the side mode button and then the top record button to open the hidden camera settings menu, which appears on the front display. This is where you'll be able to update settings like Field of View while diving (see below). Once the menu is open, you can press the side mode button to navigate to each setting. Pushing the top record button moves through the options for each setting. IMPORTANT: Be sure to update the HERO5 firmware to the latest version. The early firmware versions don't allow you to access the hidden settings menu. The display is very clear and intuitive to use. The screen incorporates gestures that we’re used to making on other devices, like swipes. It’s also great to have the screen built in to the flagship model, not the Silver edition like with the Hero4. Naturally, the LCD screen makes framing your shot much easier. That’s right! Serious photographers will be very pleased to record in GoPro’s proprietary RAW file format, .GPR, which saves more data and creates more leeway during post-processing. Note that the HERO5 only records RAW files in the Wide field of view (not linear, medium or narrow) and does not record RAW when shooting in burst or timelapse modes. Adobe Lightroom is already reading the .GPR files at time of publishing. Turn this on to better record the highlights and dark shadows of your image through a wider dynamic range. New to the HERO5, shooters can start and stop recording, turn the camera on/off and highlight tag a video frame though specific voice commands commands. Unfortunately, “That was sick” will sound like “blub blub blub” underwater. Another great feature as we continue to see new stabilization features across many new cameras these days. 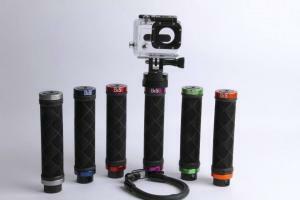 Electronic Image Stabilization helps you record smooth footage, even underwater. 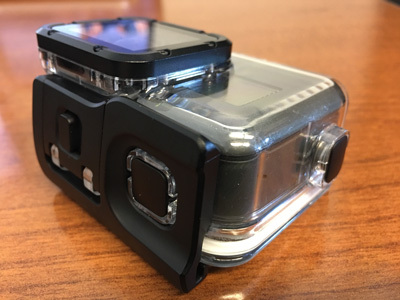 Configure this to automatically upload your underwater video and photos to your laptop, mobile device or the GoPro Plus cloud (with subscription). The idea here is quicker access to your content for quicker enjoyment and sharing. Battery: No. 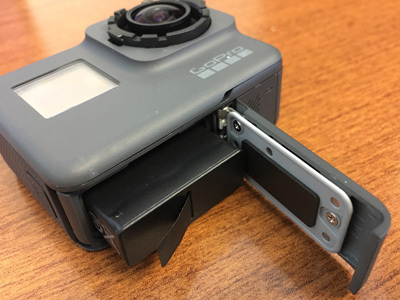 The GoPro HERO5 uses a new battery, so batteries for the HERO4 and previous GoPro models will not work. Filters: No. 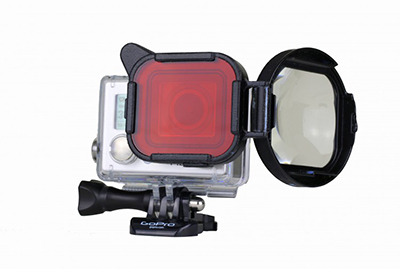 The new GoPro Super Suit housing lens is slightly smaller than previous models, so your old filters will not work. The GoPro HERO5 factory settings are a great starting point for shooting underwater video and photos: resolution of 1080p, 60fps and a Wide field of view. The GoPro records great video out of the box that doesn't require post-processing. The default settings don't need to be adjusted until you really understand what you're adjusting and why, due to the learning curve of using and post-processing with manual settings. Resolution and Framerate: We recommend shooting at 1080p. This is full HD resolution and the maximum that your TV and computer monitor will display (unless you have a 4K TV, of course). We don't recommend recording in 4K as a beginner because 1) you can't instantly share it to other devices and 2) most regular-use computers are not built to play 4K video footage smoothly - they will struggle and play it back in a very jumpy manner. 60fps is the standard for digital video and even allows you to add some slow motion (during post-processing) if desired. Field of View: A wide field of view is best for wide-angle shooting, but if you're trying to really fill the frame with a subject, try switching to Medium or Narrow. Superview is useful only if you will be very close to a large subject without critical details near the edges (think whale shark or sea lion). Also skip over Linear, which was designed with drone shooting in mind (we prefer the fisheye perspective in underwater video and photo). EIS: Turn that image stabilization on if you're not using a tripod! 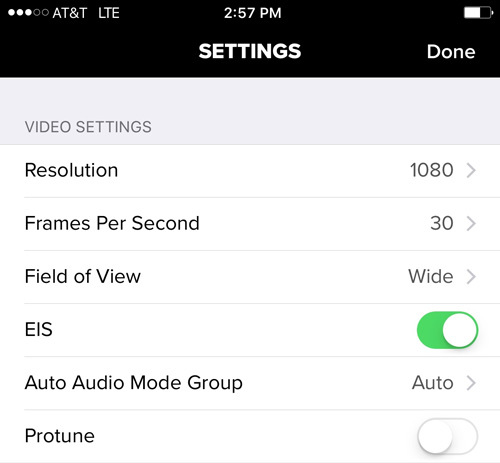 Protune: Unless you plan to dig into each clip during post-processing, your GoPro will deliver best results with Protune turned off. Note: While the GoPro HERO5 has a lot of great sharing features, if you're not recording at 1080p (or lower) then you may run into compatibility issues playing your video clips on various devices. If that happens, you would then need to run them through GoPro Studio to convert them to an appropriate format. 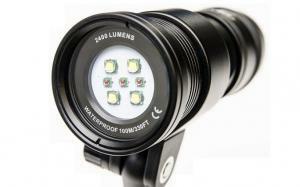 Advanced underwater video shooters will want to be changing settings depending on the diving and subject, mixing clips in with other camera footage, incorporating slow motion and many other factors. Our recommendation is as good as yours at this point, but I've shared my settings from La Paz with a few thoughts on why I chose those settings. Resolution: I chose 2.7K in order to have extra pixels from which to zoom in on a subject while still maintaining full 1080p resolution. Framerate: I shoot mostly at 60fps. I'll then edit on a 60fps timeline and export at 30fps. Recording at 60fps also allows me the ability to slow down a scene 50% for slow motion before it gets jumpy, but for that I would need to edit on a 30fps timeline. 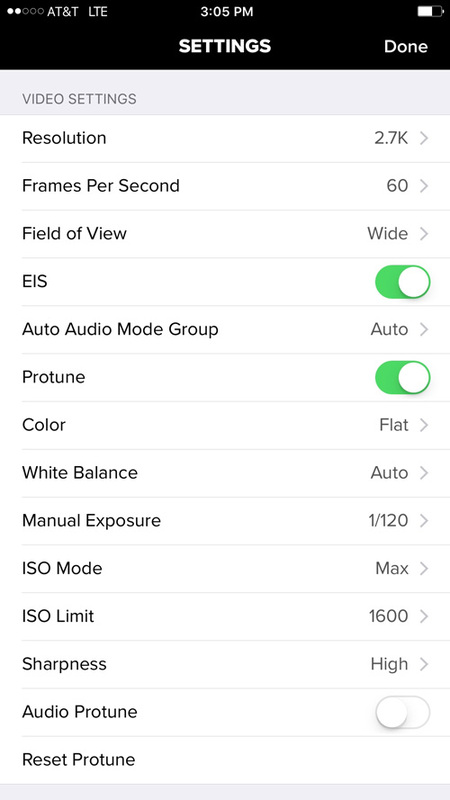 (note: in GoPro Studio you can select Advanced Settings and choose clip framerate before adding to conversion list. In Adobe Premiere Pro you can adjust timeline settings as desired). Long story short, recording at 60fps provides me the most flexibility during post-processing, which is important since I'm not shooting with any specific project in mind. Protune: I shot with the Protune settings above, planning to post-process any clips before sharing them on social media. You know who you are. Tap that Protune button and customize away! The GoPro HERO5 is waterproof down the 33ft (10m) without the housing, due to a more robust build than previous GoPro models. 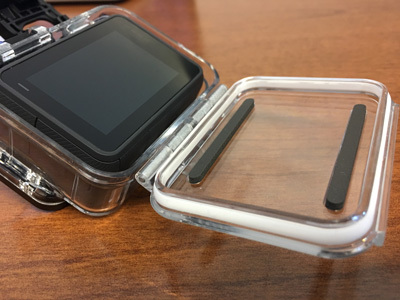 New waterproof features include a new removable lens cover and rubber seals to protect the battery / Micro SD card compartment and the HDMI / USB compartment. This is great for snorkeling, but as scuba divers and freedivers, we will want to use the Super Suit housing, which is rated down to 197ft (60m). 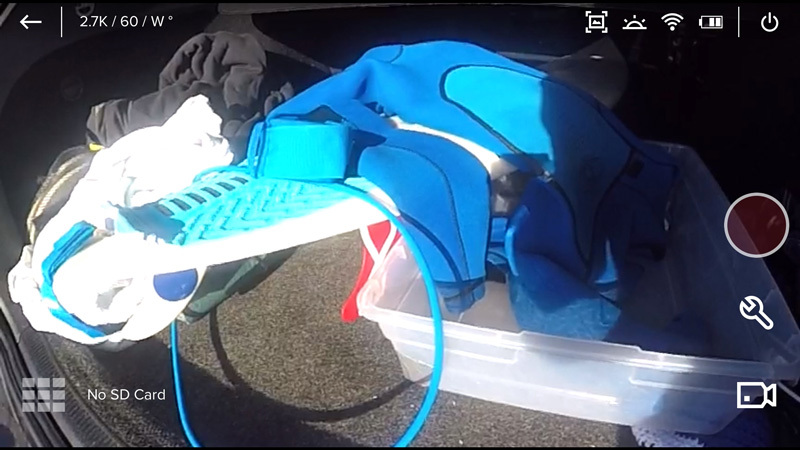 To insert the HERO5 into the Super Suit dive housing, you need to first remove the waterproof lens cover by twisting to the left and popping off. Then just drop the camera in and lock the latch. 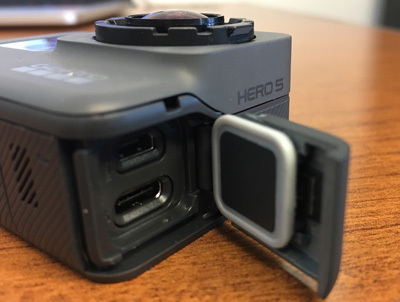 The new Super Suit has moved away from the latest iteration of the GoPro latch (which opens in one step) in favor of the 2-step latch found in the Hero 3 housings. This is more secure for use underwater. Maintaining your GoPro super suit is easy. Rinse the unit in fresh water after salt water dives, pushing both buttons several times to flush the area behind the buttons with fresh water. Before closing your housing, inspect the o-ring on the housing back and the o-ring groove on the housing to ensure there is no sand, lint or hairs. Any of these things could cause the housing to flood, which is a bad thing below 33 feet. The GoPro Capture app allows you to update settings on your GoPro, view videos and photos, and control the camera remotely. While the HERO5 has a great touchscreen, the camera is best used through the Capture, since it provides easier navigation through settings and a much larger screen (your mobile phone or tablet) for viewing footage. If you're not using Capture, I highly recommend you download it for iOS or Android. One great benefit to Capture is that you can view footage and change settings without removing the GoPro from the housing. That said, you may want to change batteries, inwhichcase you'll still need to pop open the housing. Syncing your GoPro HERO5 to the Capture app is fairly simple. Power on the GoPro and then open the Capture app on your device. The app will prompt you to open your device WiFi settings and log on to your GoPro's WiFi network (bluetooth needs to be on as well). After that, you simply Start Preview for the GoPro you're using. GoPro Studio is GoPro's free video editing software. It provides a powerful tool for editing clips (trimming, framing, color, white balance and more) and creating movies through standard timeline workflow. The software is intuitive and uses similar workflow patterns as professional level software like Adobe Premiere Pro, so the functions you learn will easily translate if you step up into the pro software world. Read our full GoPro Studio 2 Review for Underwater Video. The HERO5 is a great tool for shooting underwater video. GoPro has addressed many of the issues that have made some serious video shooters hesitate to rely on the Hero as a primary camera. Two highlights are the built-in LCD in the Black edition and the deep customizations now possible in Protune mode. The HERO5 is also very small and easy to use underwater. I set my demo up on an Ultralight Control Systems tray with handles in order to provide stability while holding the camera and moving through the water. A selfie stick is nice for, well, selfies, but is going to be subject to vibrations when trying to film steady shots underwater. Video captured on the GoPro is sharp and in focus. Since recording settings are chosen before the dive, all you need to worry about is starting and stopping the recording. 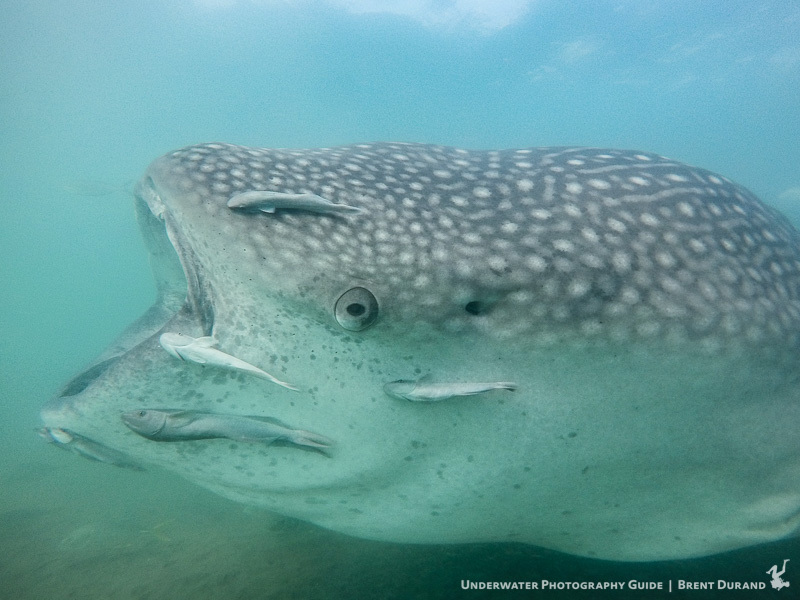 The secret to capturing great GoPro footage underwater is knowing when to use the camera. 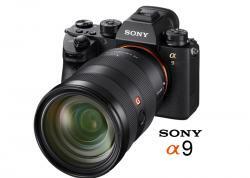 The sensor is much smaller than that of a compact, mirrorless or DSLR, so naturally will have much less dynamic range. Look for the scenes without a huge amount of range and you'll really see the quality of the video. Battery life feels improved on the HERO5 and would last me two dives in La Paz with regular photo and video use (screen powering off after 1 minute). If you shoot a lot, then one battery per dive is the way to go. La Paz was my first serious foray into still photography with the GoPro (aside from waves with there Hero 3+). In fact, it's the only camera I shot with during a week of diving in La Paz. GoPro's new .GPR (RAW) file format was the inspiration here. After all, $400 is a great price for a camera if it performs as well as systems ranging from $1000 - $10000. In line with Heros past, the HERO5 has several different burst and timelapse settings. Burst is great for quick action, like holding the camera in the barrel of breaking waves (read our surf photography tutorials). Timelapse is great for moments when you want to capture the frame but can't keep reaching out to the camera to press the shutter: selfies, swimming with fast subjects, etc. It's also good for, well, timelapse video clips! Note that the HERO5 doesn't record RAW files when shooting Bursts or timelapses. The GoPro HERO5 records RAW files in single photo camera mode, but only when shooting in the Wide field of view. It actually records both a .jpg and .GPR file, and takes about 4 seconds to process and write to card, which is pretty slow. We hope GoPro can improve this in future firmware updates. That said, the greater latitude during post-processing provided by the RAW files is worth the slow recording - just be patient. Macro shooters are still subject to the 12 inch minimum focus distance of the HERO5 lens. We look forward to seeing macro lenses like the PolarPro Switchblade for the new super suit housing. 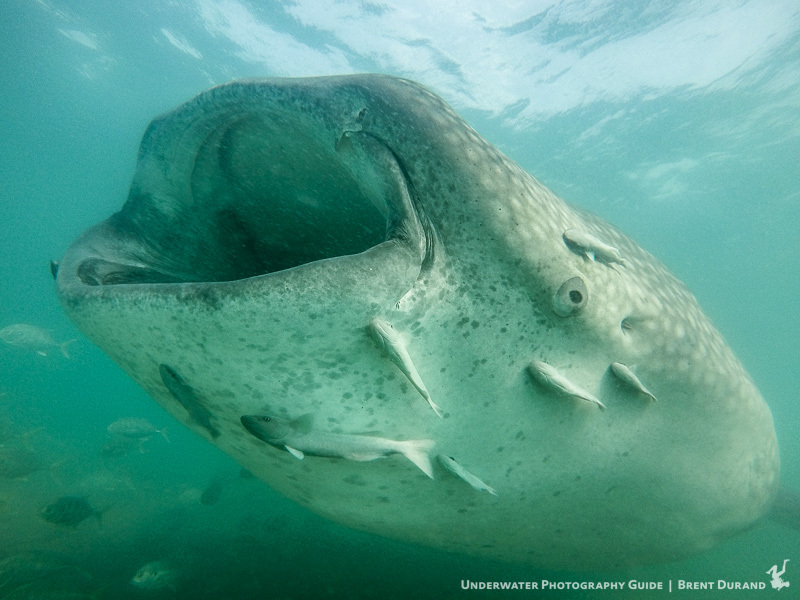 In my opinion, the GoPro is now a nice tool for underwater still photography. Like recording underwater video, your best results will come from shooting the HERO5 in ideal conditions. 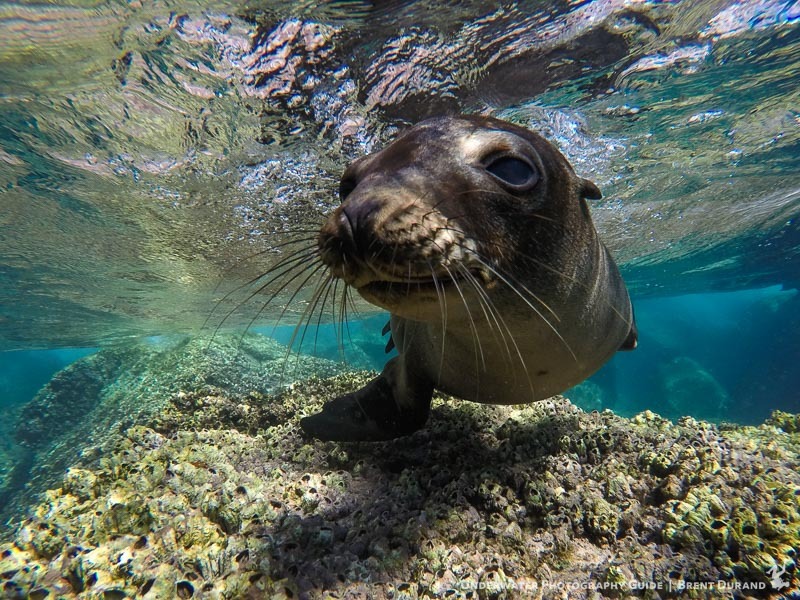 All the photos in this review are shot with the HERO5 in La Paz. GoPro recommends using a Class 10 memory card. 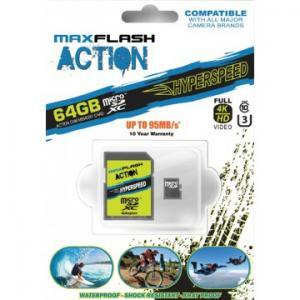 For underwater video, we recommend a card with 64GB memory so that you can record video all day without changing cards. The Max-Flash Hyperspeed Micro SD cards are fast enough to capture 4K at fast framerates and a great companion to your HERO5. 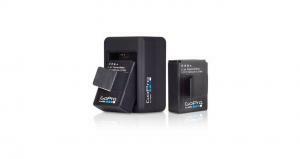 They come with a SD Card mount so that you can insert the card into your computer or card reader. The battery in your GoPro HERO5 will last one to two dives, depending how much you're shooting. Buying one or two extra batteries allows to you change it out during your surface intervals. 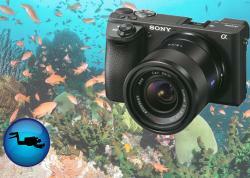 If you're shooting a lot on dive trips, don't hesitate on this. 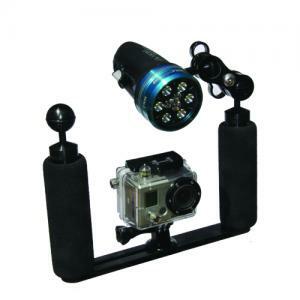 The alternative is to charge the batteries one at a time through the GoPro, which isn't always ideal or easy on tight schedules packed full of diving. 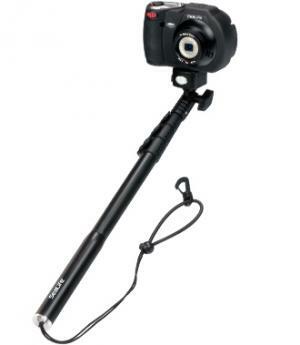 Capture your best selfie yet with the extendable Aquapod. Made by SeaLife, the Aquapod is designed for underwater use. Not only can you capture that selfie, but you can get the camera closer to your subject, whether it is something small or something skittish that you can't approach. Adding a handle like the Beneath the Surface Multigrip handle adds stability and is an easy way to hold your GoPro while diving, or any other activity. Often, if handholding your GoPro, you'll see your fingers wrap around into the picture. This problem is solved with the handle. We hope to see filters coming soon from popular manufacturers. Stay tuned for updates or contact Bluewater Photo for pre-order. Be sure to visit Bluewater Photo to learn about more video lights, whether professional high-lumen or small and affordable. The GoPro HERO5 is a nice upgrade from the HERO4. The HERO4 made big strides in terms of image quality and sharpness, and the HERO5 builds on this even further. 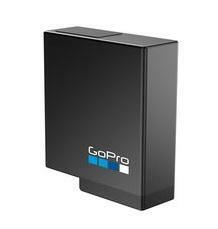 Add in RAW files for single image recording, and the GoPro brings professional editing capability. 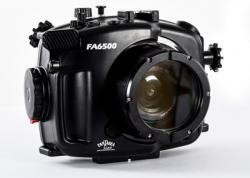 The LCD screen helps framing for both underwater video and stills. Battery life feels better with the HERO5 as well, but if you're shooting all dive long or running the display constantly, then you will still want a new battery for each dive. In short, I highly recommend the GoPro HERO5 for both underwater video and photography. The price is right, and once you understand the shooting conditions where it excels, you'll be bringing home shots that rival $10,000 DSLR systems (at least for online / social media purposes).